What is a Freelancer? 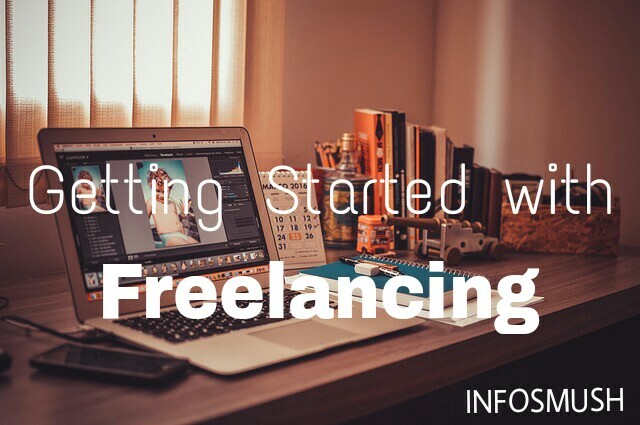 Getting Started with Freelancing. The popularity of Freelancing is rapidly increasing, so is the number of freelancers. In 2011, Financial times(UK) reported that the number of freelancers was increased by 12% from 2008. According to the Freelance Industry report of 2012, 90% of freelancers are happier now than they were before becoming a freelancer. Today one can work with different people around the world from home. Freelancers are self-employed and don't work for one company, instead they are hired by different companies to work on different projects. Freelancers set their own price and working hours. A Freelancer is his own boss. A freelancer can also work on multiple assignments at the same time (if he thinks he can finish the assignments in time, before the deadline). Anyone with any skills can be a freelancer. You can can be a freelancer if you are a web designer, , writer, photographer, mobile developer, app developer, costumer service agent, photo editor, financial expert, etc. In fact you can be a freelancer with whatever skill you have. If not the 1st, your secondary skill will definitely get your freelancer carrier rolling. The best part is; there's no requirement of geolocation, age, education or any such factors. Freelancing is full of opportunities. It has something for everyone. Even if your skills are of entry level you can still call yourself a freelancer. With time you'll keep getting better. Getting started as a freelancer is easy. You just need to join one of the freelancer platforms like upwork, truelancer, Freelancer and more. Determine what you'll offer: Common type of projects available for freelancers are web designing, writing, web developing, etc. Set your price: Your price should be reasonable. Don't set your price too low as low price doesn't indicate high quality work. Build a strong portfolio: A strong portfolio will get you hired more often and for more $$. Just build the portfolio of your work in free time. Make sure it's of good quality. If you are a freelancer please share your experience and tips via comments. I'll be really happy to know.